Some days ago, I was in Los Angeles for the Week of Italian Cuisine in the World organized by the Italian Ministry of Foreign Affairs and International Cooperation and the Ministry of Agriculture, Food and Forestry Policies. 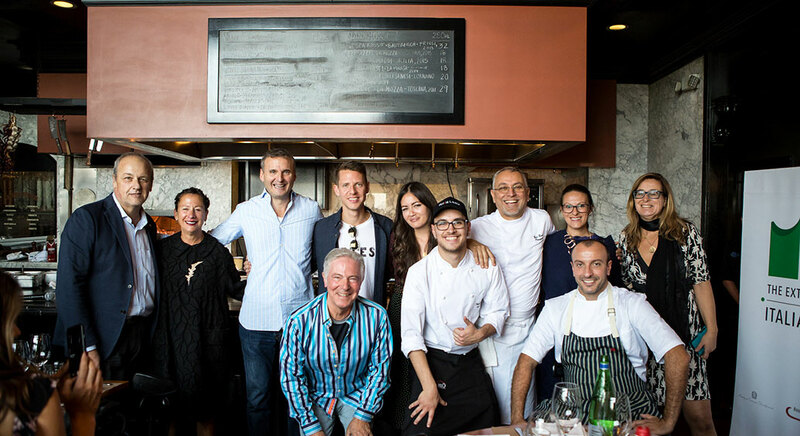 The initiative involved the Consulate General of Italy in Los Angeles and the IACCW, the Italy-America Chamber of Commerce West, the Los Angeles delegation of the Accademia Italiana della Cucina and the Usa delegation of the Associazione Verace Pizza Napoletana. For me, the program included three appointments during which I had to prepare lunches or dinners with pizza based menus, using typical products of Campania. All the three events were important commitments but, especially the last one, “Pizza: A Gourmet Affair!” – a lunch for 50 people at the famous restaurant run by Nancy Silverton with food critics and the international journalists – was a triumph. Nancy Silverton is a true legend in Los Angeles, besides being a world-renowned chef which, with her ideas, has revolutionized the approach of a group of the Californians to the food. In particular, she has been identified as a key player in the popularization of the naturally leavened bread and the artisanal bread. In Los Angeles, the most complicated thing for me was not to prepare the pizzas but it was to speak to a good turnout. Since the night before the event I couldn’t sleep, I decided to write my speech and, as we were in Hollywood, the movie city, I recalled a phrase from the film Notte prima degli esami (The Night Before Finals) “Eppure me la ricorderò sempre perché era una notte speciale. Ma io la magia di quella notte, come spesso succede nella vita, non l’ho più ritrovata” (And yet, I will always remember it because it was a special night. But the magic of that night, as it often happens in life, I didn’t find it again). In my speech, I talked about Italy, particularly about Naples. I divided it into three major concepts: identity, tradition and territory. Identity for the story of my family and myself; tradition for the tradition and the birth of the Neapolitan pizza; and territory as I talked about ancient tomatoes of Naples, an ecotype of the San Marzano tomato, the little Piennolo tomatoes, the Campania buffalo mozzarella, the Neapolitan papaccelle, the anchovies of Cetara and the salami of Mugnano del Cardinale. From that day on, I coined the acronym ITT. I have to say that the pizzas were eaten very quickly and I didn’t have anything left in my suitcase. In fact, my son Andrea, during the work, highlighted a scene from Vincenzo Salemme’s comedy Fuori Nevica (and it’s snowing outside) “è finita la mozzarella, è finito il pomodoro, è finita la provola, è finito l’olio. Ma non la fate questa pizza, voi non avete più nulla!” (the mozzarella has been run out, the tomato sauce has been run out, the smoked mozzarella has been run out and the extra virgin olive oil has been run out. But you can’t make this pizza, nothing is left). It is true that the ingredients were all consumed but I had the initials ITT in my suitcase: identity, tradition and territory!